PHOTORECOVERY 2019 is designed to recover images, movies and sound files from all types of digital media. It is the most widely used data recovery software for Memory Stick, SmartMedia, CompactFlash, all types of SD cards, microSd cards, XD cards, MMC, USB flash drives and any other type of flash storage media. Simply attach the media to your computer (a card reader is recommended) and run PHOTORECOVERY. The pictures are automatically saved. 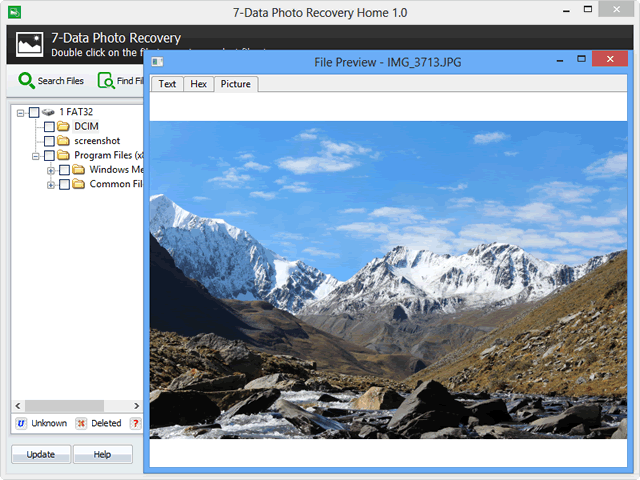 PHOTORECOVERY 2019 is designed to recover images, movies and sound files from all types of digital media. It is the most widely used data recovery software for Memory Stick, SmartMedia, CompactFlash, Micro Drives, all types of SD cards, XD cards, MMC, USB flash drives and any other type of flash storage media. Simply attach the media to your computer (a card reader is recommended) and run PHOTORECOVERY. The pictures are automatically saved. PHOTORECOVERY? 2019 is designed to recover images, movies and sound files from all types of digital media. It is the most widely used data recovery software for Memory Stick, SmartMedia, CompactFlash, Micro Drives, all types of SD cards, XD cards, MMC, USB flash drives and any other type of flash storage media. Simply attach the media to your computer (a card reader is recommended) and run PHOTORECOVERY?. The pictures are automatically saved. Are you having corruption in Virtual Disk Image aka VDI file? Do you want to restore your data from it? Try SysInfo smart VDI Recovery software and fix VDI corruption in no time. It makes the entire operation so easy and reliable so that maximum possible data can be recovered from corrupt VDI files.